Awarded the “Essential Agent of Change Award” by the MDPH’s Massachusetts Essentials for Childhood, Hilltown Families is recognized as a leading family strengthening initiative in the region, promoting “positive parenting through the social norm of community social connectedness.” Serving Western Massachusetts since 2005, Hilltown Families continues to support the development and enhancement of our local economy and community. Local businesses, farms, individuals, schools, and non-profit organizations are invited to collaborate with Hilltown Families in their community outreach. With over 8,500 opt-in subscribers and 2.5+ million visits to our web site alone, Hilltown Families can deliver your message to thousands of families living throughout the four counties of Western MA! 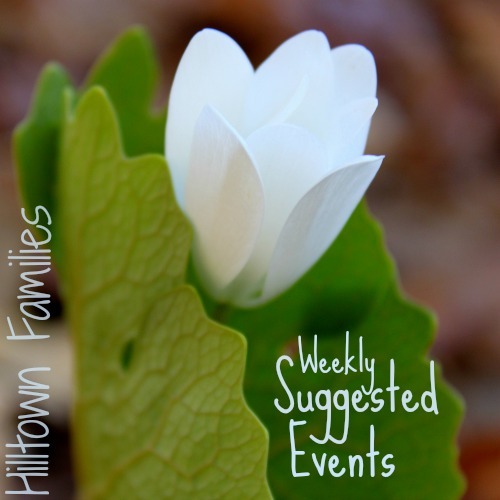 Find out about our affordable advertising options and how you can partner with Hilltown Families in your online marketing by contacting us at info@hilltownfamilies.org… and scroll down to discover community-based educational events and community building opportunities happening this weekend and next week in Western MA! 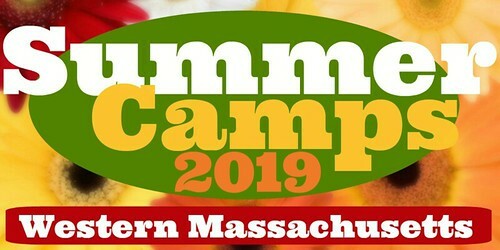 Over 60 summer camps & programs, with new listings added every week! Pioneer Valley Ballet presents the classic fairy tale, Beauty and the Beast, live on stage Saturday, April 6 at 1pm and 4:30pm at the Academy of Music in Northampton. Experience the powerful story of a young woman who discovers the true meaning of love in an unexpected place. A moving ballet based on the French tale made famous by Jeanne-Marie Le Prince de Beaumont, Beauty and the Beast is full of whimsy and magic. PVB’s original production features choreography by Artistic Directors Thomas Vacanti and Maryanne Kodzis, with characters dancing to the music of Czech composer Antonin Dvorak. Get tickets today at aomtheatre.com. For more information about the Pioneer Valley Ballet company and school, visit pioneervalleyballet.org. April School Vacation at the New England Air Museum. Swing into spring with two weeks of hands-on family fun from April 8-12 and April 15-19 at the New England Air Museum. Daily activities include climb-aboard experiences in historic aircraft, hands-on Build & Fly Challenges, Flight Science Demonstrations, Computerized Flight Simulators and much more! Check the schedule for featured days: LEGO Brick Flying Machine Contest, parachute drop, straw rocket build, paper airplane challenge, kites in flight, Easter egg hunt and more. All activities are included in the price of Museum admission. Details at www.neam.org. Family Camp: Multi-Generational Music, Folk Dance, and Art is happening in the Hilltowns over Memorial Day weekend, May 24-27! Come stay overnight at the beautiful Rowe Center and revel in four days of artistic play for all generations with Rachel Gibson, Ph.D. and Walter Cudnohufsky as your creative co-leaders! 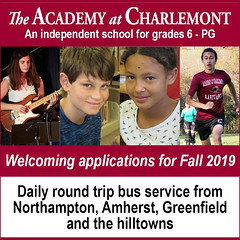 Under the proven adage that “everyone is an artist and musician,” Rachel and Walter will provide a safe and nurturing environment to explore the arts. Come prepared to be moved and uplifted! You’ll leave with songs in your heart, matted pieces of art in your hand, resources to continue the experience, and cherished memories. Open to all. No prior experience necessary. 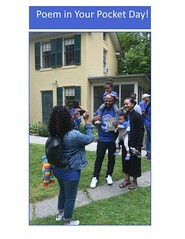 For more info and to register online, visit rowecenter.org or call 413-229-4954. Nature Sprouts at The Bement School. Children and their families are invited to spend mornings connecting with nature through stories and hands-on activities. Nature Sprouts is a meaningful way to build a sense of discovery and wonder, learn about colors, shapes, textures, and more! Ages 3-5, accompanied by a parent/guardian. FREE. Every Tuesday 9:30-10:30am, April 2-May 28. Meet at Pine Hill, 55 Old Ferry Road, Deerfield MA. RSVP and questions to Jill Craig at jcraig@bement.org or 413-774-4209. Are you expecting a baby? Do you want to learn about local resources and partners? Come to the Hampshire Perinatal Coalition’s first annual Community Baby Shower on Saturday, April 6, from 11am-1pm in the cafeteria at Jackson Street School in Northampton. Information, snacks, play activities, car seat checks, & free raffle held in the cafeteria. Before the shower, from 9:30-11:30am, spend the morning playing in the gymnasium & outside at the Children’s Festival, then scoot next door to the cafeteria for the event. For more information, call 413-587-1471, email earlychildhood@northampton-k12.us, or visit online: www.northamptonfamilies.com/baby-resources. 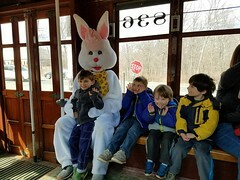 Connecticut Trolley Museum annual Easter Bunny Fun Days takes place April 13-14 & 19-20 in East Windsor, CT. Motorwoman Cotton-Tail will be roaming the grounds and posing for pictures from 11am-3pm. Each child will receive an Easter Egg (filled with a surprise) upon completion of a Scavenger Hunt, Bunny Ear Craft and a visit to the Fire Truck Museum (on the same grounds). Take as many trolley rides as you’d like operated by period dressed motorman. Learn about the history of the museum, trolley cars, and artifacts. Visit their theater & gift shop. All activities and Fire Truck Museum entrance are included in admission ($13/Adults; $12/Seniors; $11/Youth (ages 4-12); $4/Children (under age 3). Visit www.ct-trolley.org for hours of operation. Staying in town for April Vacation? 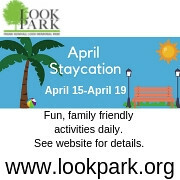 Come play at Look Park Monday, April 15 to Friday, April 19! Attractions are open daily starting April 13th and we’ll have a fun, family friendly event scheduled every day during vacation week! Grab the kids and enjoy a day out in the park! Daily events are free. Vehicle parking fee does apply or get your season pass today and park for free every time you visit. 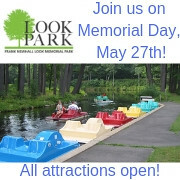 Call 413-584-5457 or visit: www.lookpark.org for a full schedule of events. Lights, Camera… Party! 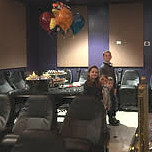 Always a hit, your child will be the star of the show when you take your cue and book a movie theater birthday party at South Hadley’s Tower Theaters. Special Effects include your own green room (private theater) with balloon props and optional concessions. Don’t settle for a B party, act now and book your child a blockbuster party the whole family and cast will remember. For more information, visit www.towertheaters.com or email info@towertheaters.com. 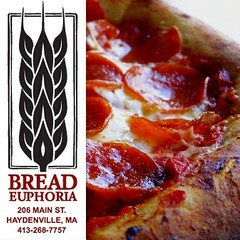 Conveniently located in The Village Commons, 19 College St, South Hadley, MA. 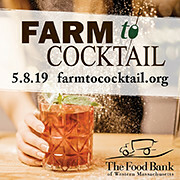 The Food Bank of Western Massachusetts will hold a spring fundraiser, “Farm to Cocktail,” on Wed, May 8, 5:30-9:30pm at Valley View Farm in Haydenville. 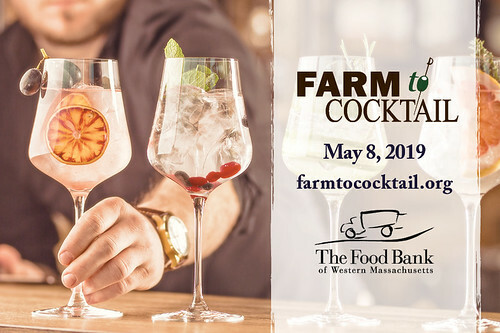 Farm to Cocktail is a friendly competition where the area’s top bartenders will shake, stir, and dash their way to the most creative cocktails using locally sourced ingredients. Try them all & vote for your favorite cocktail to be awarded the ‘People’s Choice’ winner. Top vote-getters from the ‘People’s Choice’ round will compete in a live round featuring a secret ingredient. All-star panel of judges determine the finest mixologist! 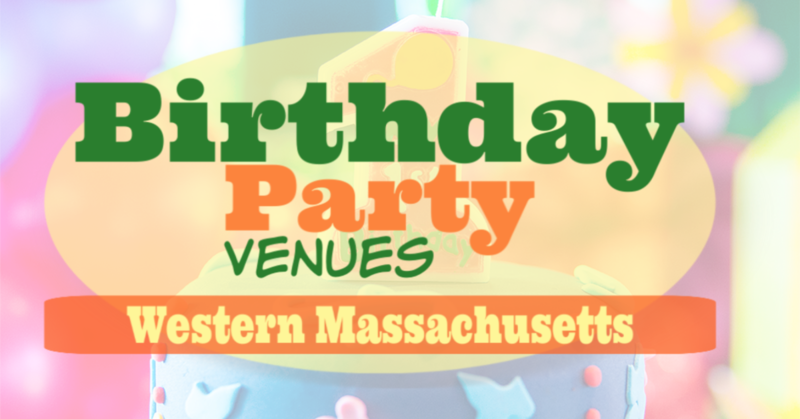 Enjoy live music, hearty farm-fresh hors d’oeuvres & desserts, silent auction, and more! Visit www.farmtococktail.org for tickets. Use code ‘FOOD’ for $5 off. New England Center for Circus Arts ♦ People can’t fly, but at NECCA they do. The impossible becomes possible – the person who is shy opens, the one who was introvert expresses, the child who is weak becomes powerful, the teen who is awkward finds grace. Find your strength. 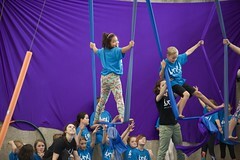 Our week long circus skills camps, in America’s newest custom circus trapezium, offer top-notch instruction in a noncompetitive environment that teaches confidence, communication skills, perseverance, self determination, and pride, as well as how to be a fabulous acrobat, aerialist, juggler or clown. Students work in groups by age and ability for the best learning experience and for our youngest students we include art activities and quiet time suited to their learning needs. Circus transforms! Come play! 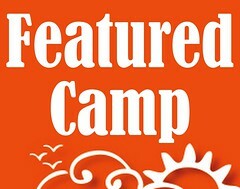 Dates: Jun 18-Aug 17; Age Range of Campers: 3-17yo; Contact: 802-254-9780 ♦ info@necenterforcircusarts.org ♦ www.necenterforcircusarts.org; Location: Brattleboro, VT.
Saturday, April 6, 7-10am – ORNITHOLOGY: Bird Walk. Enjoy beautiful Graves Farm while searching for early spring migrants. Take an easy two-mile loop which is often filled with bird activity. At this time of year, you may see hermit thrushes, tree swallows, male red-winged blackbirds, and other early migrants. Graves Farm Wildlife Sanctuary. 413-584-3009. Adams Rd, Haydenville, MA. Saturday, April 6, 9-10am – RADIO SHOW: Hilltown Family Variety Show Animal Episode with Guest DJ, Flor Bromley. Commercial-free family radio. Join Flor Bromley as she takes you on a journey through all of the different kinds of animals. We will learn about animals and dance to songs about farm animals, pet animals, jungle animals… all sorts of animals!Tune in on your FM dial, or listen live via streaming audio at www.valleyfreeradio.org. Click here select from over 12 years of archived shows! Saturday, April 6, 9am-12noon – SUSTAINABILITY/RECYCLING: You know that old tricycle your child left lying just out of view behind your car in the driveway, those tattered and torn kid jeans and well-stained onesies, dog food bags, and large styrofoam from the new co-sleeper or “big girl” bed? What the heck are you suppose to do with these things? Bring them to the Spring Recycling & Reuse Rally, a great opportunity to teach kids about recycling and cool community organizations like Northampton ReUse! Harder-to-recycle materials are being accepted at Smith Vocational High School in the morning, but be sure to check out the flyer to see what they are accepting. Smith Vocational High School. 80 Locust Street (Route 9), Northampton, MA. Saturday, April 6, 9am-1pm – FARM TO SCHOOL: Northampton Farm to School Summit. 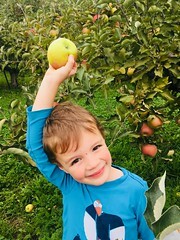 The first annual Northampton Farm to School Summit will bring together stakeholders and enthusiasts interested in connecting kids to healthy food and local farms in the school environment. At this gathering, come together to learn about current successes and challenges, gather input, and create a unified vision for how to take this work forward. Who should attend? Parents and family members. Teachers, all grades. Northampton Community Arts Trust. 33 Hawley Street, Northampton, MA. Saturday, April 6, 9:30am-3:30pm – STEM: Robotic Mini Golf! Play 18 holes of Mini Golf inside the Holyoke Public Library. Holyoke Codes is designing 2 robotic mini-golf holes as part of this fun benefit for the library. All ages welcome. Holyoke Public Library. 413-420-8101. 250 Chestnut Street. Holyoke, MA. Saturday, April 6, 9:30am & 11am – CHILDREN’S THEATER/LITERATURE IN TRANSLATION: Snow White. Tiny Tales is a live, participatory theater experience specifically designed for young children between the ages of 3 and 8. Snow White is a classic Disney tale whose most important message lies in redefining beauty from an external concept to the internal sum of our kindness and good intentions. 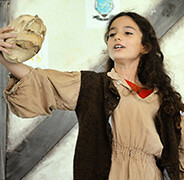 Throughout the show, children are invited up on stage to take an active part in the production while those who remain in the audience provide sound effects and hand motions that enhance the story. The immersive format of this show helps children develop an early love for theater. Performance will be held at The Red Door Theatre. 152 South Westfield Street, Feeding Hills, MA. Saturday, April 6, 9:30-11:30am – CHILDREN’S FESTIVAL: Join in expressing the wonderful spirits and gifts of young children — our community’s way to celebrate the national Week of the Young Child! A morning celebration of young children and their exuberant play in all dimensions, inside and outside. A fire truck and spray house, school bus, DPW truck, a police car to play in outside, and many activities, from crawling to planting seeds to building with giant blocks inside the gymnasium! Free car seat checks from the Northampton Police Department. Jackson Street School. 413-587-1471. Northampton, MA. 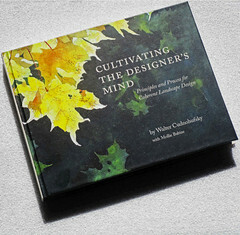 Saturday, April 6, 9:30am-12pm – LANDSCAPE DESIGN/BOOK LAUNCH: The founding director of the Conway School, long time landscape architect and community planner Walter Cudnohufsky, has written a book, Cultivating the Designer’s Mind: Process and Principles for Coherent Landscape Design, with Mollie Babize that summarizes a design philosophy and process developed over a six-decade career in professional practice and education. Highly illustrated, the 320-page book outlines a design process that is both logical and creative, one that is accessible to anyone who desires to work in concert with nature’s patterns. A celebration of the book’s release will be held at the new campus of the Conway School. 88 Village Hill Road. Northampton, MA. Saturday, April 6, 10-11:30am – BOTANY/SEEDS: Saving Seeds & A Seed Exchange. Kerisa Fitzergerald of Crow River Farm will lead a presentation and Q&A on seed saving. Bring in any of your gardening seeds to share and expand your garden. Get planting! East Longmeadow Public Library. 413-525-5432. 60 Center Square, East Longmeadow, MA. Saturday, April 6, 10am-12noon – TEEN/WRITING: Teen Creative Writing. Genre-inclusive and open to adults as well, this program will address everything from magical realism to poetry to memoir with the first hour reserved for teens and a focus on science fiction and fantasy. Writers of all disciplines and skill levels welcome. No registration required. East Longmeadow Public Library. 413-525-5432. 60 Center Square, East Longmeadow, MA. Saturday, April 6, 11am-12noon: MUSIC STUDIES/QUARTET – Meet the Argus String Quartet for up-close music before their performance that night at Amherst College. Parallel activities for wiggly kids (with a parent), so bring the whole family! Free and open to the public. Jones Library. 413-259-3223. 43 Amity St, Amherst, MA. Saturday, April 6, 11am-1pm – PRENATAL RESOURCES: Are you expecting a baby? Do you want to learn about local resources and partners? 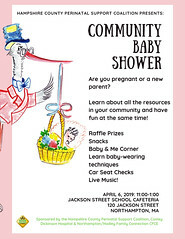 Come to the Hampshire Perinatal Coalition’s first annual Community Baby Shower in the cafeteria at Jackson Street School. Information, snacks, play activities, car seat checks, & free raffle held in the cafeteria. Before the shower, from 9:30-11:30am, spend the morning playing in the gymnasium & outside at the Children’s Festival, then scoot next door to the cafeteria for the event. 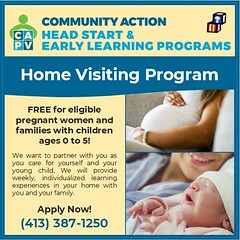 For more information, call 413-587-1471, email earlychildhood@northampton-k12.us, or visit online: www.northamptonfamilies.com/baby-resources. Jackson Street School in Northampton, MA. Saturday, April 6, 11am-4pm – SUSTAINABILITY/EXPO: Berkshire Earth Expo is a community fair focused on energy efficiency, climate resilience, and the protection of nature and our health. Learn how to take action to reduce your energy use, and to save money. This event features student exhibits, eco-friendly vendors and organizations, food, games and fun for the kids, arts and crafts, WordxWord, and much more. Boys & Girls Club Of The Berkshires. 16 Melville Street, Pittsfield, MA. Saturday, April 6, 12:30pm – PARENT WORKSHOP: It Takes a Village will host “Parenting Under Pressure: Where you do you turn when parenting gets complicated?” with local author Karen Zilberstein for a discussion about the systems that parents must navigate to find the right services for themselves and their children. 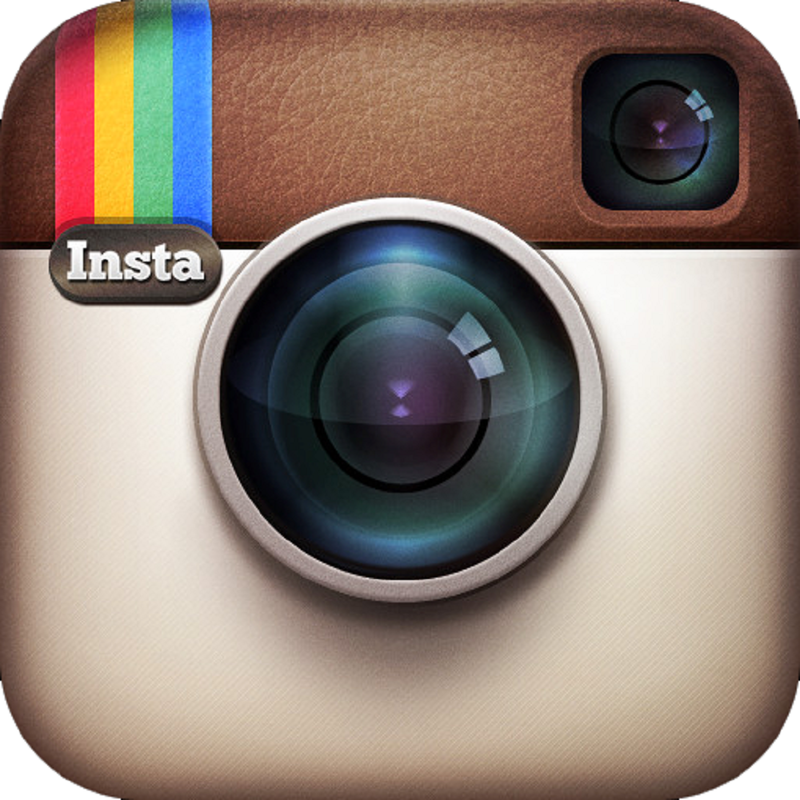 Zilberstein is a practicing psychotherapist in Northampton. RSVP for childcare. Village Closet. 413-650-3640. 2 Main Street, Cummington, MA. Saturday, April 6, 1pm – BALLET/LITERATURE IN TRANSLATION: Pioneer Valley Ballet presents the classic fairy tale, Beauty and the Beast, live on stage. Experience the powerful story of a young woman who discovers the true meaning of love in an unexpected place. A moving ballet based on the French tale made famous by Jeanne-Marie Le Prince de Beaumont, Beauty and the Beast is full of whimsy and magic. PVB’s original production features choreography by Artistic Directors Thomas Vacanti and Maryanne Kodzis, with characters dancing to the music of Czech composer Antonin Dvorak. Get tickets today at aomtheatre.com. For more information about the Pioneer Valley Ballet company and school, visit pioneervalleyballet.org. Academy of Music Theatre. 274 Main St, Northampton, MA. Saturday, April 6, 1-3pm – MUSEUM ADVENTURES: N+1 Community Day. All are invited to the Mead for an afternoon of art and experimentation. Explore questions about the universe while delving into “Dimensionism: Modern Art in the Age of Einstein,” Mead’s exhibition about the connection between art and science. Sound artist Jake Meginski, a visiting lecturer in the Department of Theater & Dance, will lead in immersive sound experience. Open to all! Activities designed for ages 8+. Mead Art Museum. 413-542-2335. 41 Quadrangle Dr, Amherst, MA. Saturday, April 6, 4:30pm – BALLET/LITERATURE IN TRANSLATION: Pioneer Valley Ballet presents the classic fairy tale, Beauty and the Beast, live on stage. (See listing at 1pm above). Saturday, April 6, 6pm – MUSIC STUDIES/ORCHESTRA: The Chamber Orchestra of Williams, an all-student, flexible instrumentation chamber ensemble dedicated to innovative programming, presents a multidimensional performance experience featuring music by Williams College Professor Zachary Wadsworth alongside Aaron Copland’s Appalachian Spring. Combining this music with poetry and art to create an immersive experience, this concert is dedicated to fostering of community by engagement in the arts. Free and open to all. Clark Art Institute. 413-458-2303. 225 South St, Williamstown, MA. Saturday, April 6, 6-8:30pm – ORNITHOLOGY: Dance of the American Woodcock . Witness one of the most spectacular dances on earth – the courtship display of the American woodcock. Usually a reclusive forest dweller, the male of this game bird species takes center stage in his springtime dance to attract a female. The male struts and calls out a nasal peeent, then suddenly spirals into the air and gives a whistle-sounding call before zigzagging down. Then the show begins all over again. Brief slide presentation, then head outdoors for the show. Arcadia Wildlife Sanctuary. 127 Combs Rd, Easthampton, MA. Saturday, April 6, 7pm – THEATER/BROADWAY: Blithe Spirit. Winner of the 2009 Drama Desk Award for Outstanding Revival, Blithe Spirit tells the story of cantankerous novelist Charles Condomine who is re-married but haunted (literally) by the ghost of his first wife, the clever and insistent Elvira. This show offers audiences the opportunity to support local actors as they present this iconic comedy, written by this British playwright Noel Coward, known for both his wit and writing of more than 50 plays! Performances will be held at South Hadley High School. 153 Newton Street, South Hadley, MA. Saturday, April 6, 7-8:30pm – ECOLOGY/VERNAL POOLS: Vernal Pools at Night. Vernal pools are special habitats where some unusual amphibians breed. After learning about vernal pools indoors, take a short evening walk to listen for these awesome amphibians at Arcadia’s vernal pool. Arcadia Wildlife Sanctuary. 127 Combs Rd, Easthampton, MA. Saturday, April 6, 7:30pm – THEATER/SOCIAL ISSUES: Sweat. Winner of the 2017 Pulitzer Prize for Drama, Lynn Nottage’s play deftly and unflinchingly examines the complicated ways race, class, and gender intersect in a struggling factory town. Sweat features well-drawn characters that stir us to think about how we can overlook the various ways hate presents itself and how close it is to us, until we are forced to confront it. This piece engages audiences in an exploration of one of the most critical social topics of our time. Performances will be held in The Curtain Theater at th Fine Arts Center at UMass.151 Presidents Drive, Amherst, MA. Saturday, April 6, 7:30-10:30pm – PARENTS’ NIGHT OUT/CONCERT: Tim Eriksen in Concert at the Ashfield Community Hall. Tim Eriksen is an acclaimed musician for transforming American tradition with his startling interpretations of old ballads, love songs, shape-note gospel and dance tunes from New England and Southern Appalachia. Best for adults and younger people with audience skills. Maude’s Closet Concerts. 413-634-6199. Ashfield Community Hall. 521 Main Street. Ashfield, MA. Saturday, April 6, 8pm – FOLK DANCE/CONTRA: Saturday Contradance with Wild Asparagus. Beginners’ workshop 8-8:30pm. Guiding Star Grange. 413-575-6283. 401 Chapman St, Greenfield MA. 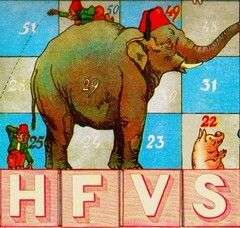 Sunday, April 7, 7-8am – RADIO SHOW: Hilltown Family Variety Show Animal Episode with Guest DJ, Flor Bromley. Commercial-free family radio. Join Flor Bromley as she takes you on a journey through all of the different kinds of animals. We will learn about animals and dance to songs about farm animals, pet animals, jungle animals… all sorts of animals!Tune in on your FM dial, or listen live via streaming audio at www.valleyfreeradio.org. Click here select from over 12 years of archived shows! Sunday, April 7, 9:30am-3:30pm – VOLUNTEER/INTERGENERATIONAL: 7th Annual 5K Race & 2 Mile Family Walk, an annual fundraiser for Hadley Public Schools. Enjoy a beautiful Sunday run through the picturesque backroads of Hadley, with two race options. Stick around after for a family-friendly Block Party, rocking out with a live DJ and lunch (available for purchase) while congratulating the race winners! Awards will be given to the top runners in each age category. Hadley Elementary School. 413-345-1136. 21 River Drive. Hadley, MA. Sunday, April 7, 10am-1pm – VOLUNTEER/COMMUNITY MEAL: Run/Walk. Eat Pancakes. Feel Good. Syrup Stampede is a 5K run/walk to benefit Empty Arms Bereavement. Runners and walkers can register as teams or individuals – and have the option to fundraise as a team. This year we have a 2k fun run/walk option and a chip-timed 5k course. All participants are invited to the pancake party to follow! Empty Arms Bereavement Support is a Western Massachusetts-based non-profit organization offering resources and support to families across the region who have experienced miscarriage, stillbirth, or infant loss. Look Memorial Park. 300 N Main St, Florence, MA. Sunday, April 7, 10am-2pm – PASSOVER/NUTRITIONAL ANTHROPOLOGY: Community Matzah Bake and Maror Hunt for all ages. A participatory hands-on workshop to experience: the sweetness of making your matzah in our cob oven with a community of friends; the hunt for the best bitter foods Abundance Farm has to offer; a wild edibles walk; a chance to grind your own wheat using a wheat grinder and mortar and pestles; a time and place to ask questions. Sign up for a matzah baking time slot at http://tinyurl.com/matzah2019. Abundance Farm. 413-584-3593. 253 Prospect St. Northampton, MA. 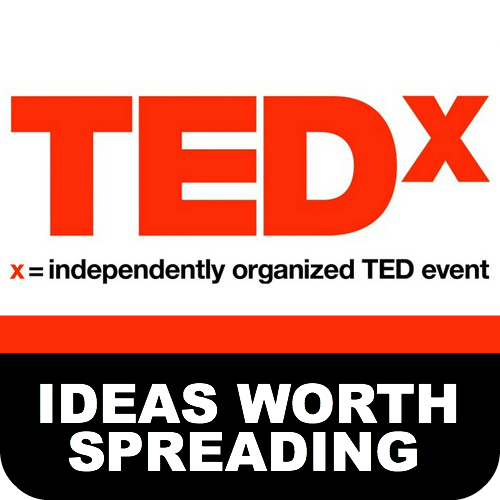 Sunday, April 7, 10am-5pm: TEDx TALK: In the spirit of ideas worth spreading, TEDxAmherst aims to spark deep discussion and connection within a small group of community members by bringing an exclusive roster of insightful live speakers. 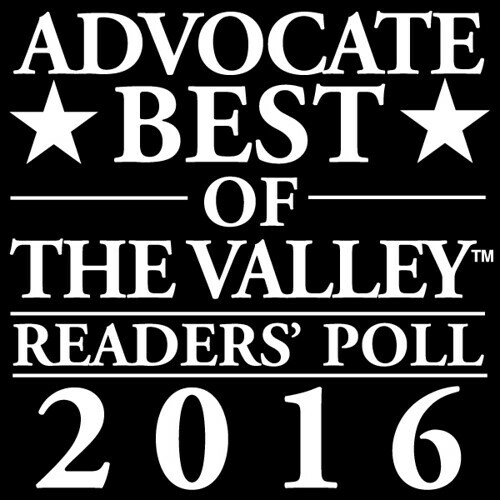 Explore a maze of revolutionary ideas from the brightest minds of the Pioneer Valley. The Isenberg Business Innovation Hub. Amherst, MA. Sunday, April 7, 11:30am-12:30pm – PASSOVER/NUTRITIONAL ANTHROPOLOGY: The Model Matza Bakery. On Passover, the focus of the seder revolves around matza, the unleavened bread that is baked in under eighteen minutes. Join Chabad Hebrew School and Lubavitcher Yeshiva Academy (LYA) as they bake matza in preparation for Passover. Participants will learn about the process of how matza is created and walk away with freshly made. Children ages 5-12 will participate in the entire process from the wheat grinding until the baking. 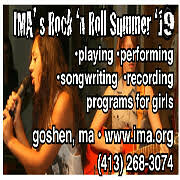 RSVP required: info@lya.org or call 413-567-8665. Lubavitcher Yeshiva Academy. 1148 Converse Street, Longmeadow, MA. Sunday, April 7, 12noon,-3pm – LOCAL HISTORY/MUSEUM ADVENTURE: Docent-led tours at Wistariahurst Museum at 12pm, 1:30pm, & 3pm. Wistariahurst Museum. 413-322-5660. 238 Cabot St, Holyoke, MA. Sunday, April 7, 1-2:30pm – DANCE STUDIES/FLAMENCO: Flamenco Dance workshop with Melinda Marquez. Pre-register. Northampton Center for the Arts. 413-584-7327. 33 Hawley Street, Northampton, MA. Sunday, April 7, 1:30pm – WOMEN’S HISTORY/PERFORMANCE ART: Perhaps women need to be reminded of how far we’ve come to see how far we still can go. “Herstory unsanitized” explores the engrossing “taboo” subjects omitted from history. This dramatic presentation with Velya Jancz-Urban and Ehris Urban isn’t a presentation about spinning wheels, quilting bees, bustles or butlers. Velya Jancz-Urban’s enthusiastic delivery is vivacious and frank. Laugh, grimace, and honor our foremothers’ journeys while learning about the little-known issues faced by women of New England’s colonial era. Presentation held in the barn at the museum. There is no admission fee, and refreshments served in the house. Keep Homestead Museum. 413-267-4137. 35 Ely Rd. Monson, MA. Sunday, April 7, 2pm – THEATER/BROADWAY: Blithe Spirit. Winner of the 2009 Drama Desk Award for Outstanding Revival, Blithe Spirit tells the story of cantankerous novelist Charles Condomine who is re-married but haunted (literally) by the ghost of his first wife, the clever and insistent Elvira. This show offers audiences the opportunity to support local actors as they present this iconic comedy, written by this British playwright Noel Coward, known for both his wit and writing of more than 50 plays! Performances will be held at South Hadley High School. 153 Newton Street, South Hadley, MA. Sunday, April 7, 2-3:30pm – SPORTS/BASKETBALL: Harlem Globetrotters. For the first time in 25 years, the Harlem Globetrotters are returning to Amherst. Mullins Center. 413-545-3040. 200 Commonwealth Ave. Amherst, MA. Sunday, April 7, 3-5pm – IMMIGRATION/PERFORMANCE ART: Immigrant Voices: A Celebration of Arts returns to the Shea Theater. In celebration of immigrants’ artistic contributions to W. Mass, this event showcases Center for Americans’ students, alumni, and friends. Performances include dances from Mexico, African drumming, songs from Iran, El Salvador, and Bulgaria, and poetry from around the world. Shea Theater Arts Center. 413-648-7432. 71 Avenue A, Turners Falls, MA. Monday, April 8, 6pm – LOCAL HISTORY/FILM: “The Gilded Cage: Northampton’s Last Water Powered Elevator,” a film screened by Stan Sherer. Northampton’s Masonic Block, 25 Main Street, which opened in 1898, featured an ornate water-powered elevator. This came to an end in 2017, when the elevator was decommissioned. To preserve this fascinating bit of Northampton’s history, documentary filmmaker Stan Sherer interviewed former operators and the repair service person who maintained it from the mid-1980s until the end. Learn how elevators work and why they matter, and what this one meant to the people and the City of Northampton. Westhampton Public Library. 413-527-5386. 1 N Rd, Westhampton, MA. Monday, April 8, 6-7:30pm – GARDENING: Gardening for the Birds, Butterflies and Other Pollinators. Join Master Gardener, George Kingston for this presentation on planting and maintaining gardens that attract birds, butterflies, and other pollinators. East Longmeadow Public Library. 413-525-5432. 60 Center Square, East Longmeadow, MA. Monday, April 8, 6:30-8pm – RACE: Talking About Race. This workshop is designed to encourage an open and thoughtful conversation about race, emphasizing how we can learn to appreciate and understand perspectives different from our own. At the center of this conversation are the experiences of three local African American residents, Grace Aldrich, Jim Guy, and Doug Sutherland. Sunderland Public Library. 20 School Street, Sunderland, MA. Monday, April 8, 7pm – ANATOMY/PHYSIOLOGY: Curious about Kidney Transplants? Urine Luck!’ If you’ve ever heard that a person can live their life with only one kidney, it’s true. At Nerd Nite NoHo, there will be a talk about what kidneys do, why they are essential, what the process was like of getting screened and tested for donation, what life after transplant is like for donor and recipient, and some extra afterthoughts on what it might mean to everyone involved. The World War II Club. 50 Conz St, Northampton, MA. Tuesday, April 9, 9:30-10:30am – NATURE-BASED/CREATIVE-FREE PLAY: Nature Sprouts at The Bement School. Children and their families are invited to spend mornings connecting with nature through stories and hands-on activities. Nature Sprouts is a meaningful way to build a sense of discovery and wonder, learn about colors, shapes, textures, and more! 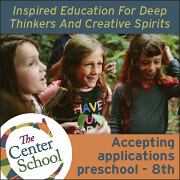 Ages 3-5, accompanied by a parent/guardian. Every Tuesday 9:30-10:30am, April 2-May 28. RSVP and questions to Jill Craig at jcraig@bement.org or 413-774-4209Meet at Pine Hill, 55 Old Ferry Road, Deerfield MA. FREE. Tuesday, April 9, 5:30-6:15pm – ORNITHOLOGY: Warbler Madness! Join David Brown and the Northfield Bird Club on for a timely refresher on Massachusetts’ warblers before their return from southern wintering grounds. “Warbler Madness” contains video footage of our migrant and resident wood warblers along with many of their songs. Northfield Mountain. 413-659-3714. 99 Millers Falls Road, RT 63, Northfield, MA. Tuesday, April 9, 7-9pm – PARENTING/EDUCATION: Lecture “The Pressured Child: Helping Your Child Find Success in School and Life” by psychologist Michael Thompson. “How was school?” These three words contain a world of desire on the part of parents to know what their children are learning and experiencing in school each day. Children may not divulge much, but Dr. Thompson suggests that the answers are there if we know how to read the clues and–equally important–if we remember our own school days. Each journey has its own different pressures. In this presentation, Dr. Thompson will describe the psychological journey that children experience during their thirteen years in school, illuminating how they manage their school careers and how the best educators and wisest parents can support them along the way. 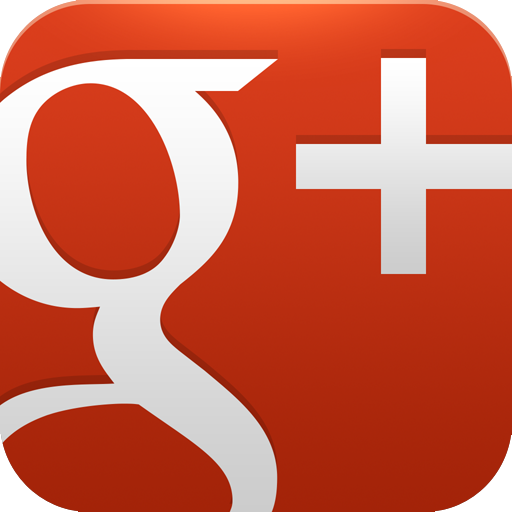 A Q&A session will follow the presentation. Smith College Campus School. 413-585-3270. 33 Prospect St. Northampton, MA. Wednesday, April 10, 12noon-3pm – FIBER ARTS: The Mending Café, hosted by Art & Soul and First Churches of Northampton. The Mending Café follows in the story-cloth making traditions of African-American, Native American, Hmong, Mexican, Amish, and Hawaiian women. Quilting expert, Sherril Willis, will work with all levels of experiences to design and make a unique story cloth using a wide variety of fabrics and textiles. RSVP: artandsoul.wm@gmail.com or call/text 413-348-2385. First Churches of Northampton. 129 Main St, Northampton, MA. Wednesday, April 10, 5-8pm – EARLY CHILDHOOD CARE/EDUCATION: Screening of No Small Matter. A film event for everyone during the Week of the Young Child. No Small Matter is the first feature film to explore the most overlooked, underestimated, and powerful force for good in America today: early childhood care and education. Through poignant stories and surprising humor, the film lays out the overwhelming evidence for the importance of the first five years, and reveals how our failure to act on that evidence has resulted in an everyday crisis for American families, and a slow-motion catastrophe for the country. Join in an exhibit of work by local educators and children, a screening of the film and a post-film discussion. Greenfield Community College. 1 College Dr, Greenfield, MA. Wednesday, April 10, 6pm: UPCYCLING – Participants will learn about upcycling plastic bags through the process of fusing with Lou’s upcycling. This 101 class teaches the basics of plastic bag fusing, and each participant will complete a final project using the fused textile. There is a limit of 15 participants for this free workshop. RSVP required. Greenfield Public Library. 413-772-1544. 402 Main Street, Greenfield, MA. Wednesday, April 10, 6-8pm – HEALTH CARE/HOMEOPATHY: “Just One Drop, The Story Behind the Homeopathy Controversy.” Film and Q&A hosted by a local certified classical homeopath. This film explores the controversy, reveals the history and dispels the myths and misconceptions surrounding homeopathy. East Longmeadow Public Library. 413-525-5432. 60 Center Square, East Longmeadow, MA. Wednesday, April 10, 6-8pm – ASTRONOMY: Intro to Stargazing & Starwatching with Kevin Kopchynski at the Springfield Museums. Look at the stars, constellations, and planets and learn how to follow the seasonal patterns of the earth in its orbit around the sun. Explore the science and mythology of the heavens while considering objects such as nebulae, white dwarfs, black holes, and planets around other stars. Take a look at telescopes and resources for computers and personal devices. For lifelong & self-directed learners. Sign up ahead of time. Springfield Museums. 413-263-6800. 21 Edwards Street, Springfield, MA. Wednesday, April 10, 7-8pm – ISLAMIC STUDIES/RAMADAN: Seeing the Moon in Islamic Traditions. Join the Amherst College Muslim Students Organization and advisor, Mohammed Abdelaal for a pre-Ramadan discussion about celestial bodies in Muslim traditions, and socializing over cookies and tea. This program takes inspiration from the artists featured in “Dimensionism: Modern Art in the Age of Einstein” who visualized the cosmos in multiple dimensions. Free and open to all. Presented in partnership with the Office of Religious and Spiritual Life, Muslim Students Association and the Mead Art Museum. Mead Art Museum. 413-542-2335. 41 Quadrangle Dr, Amherst, MA. 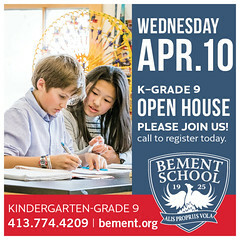 Wednesday, April 10, Call to RSVP – OPEN HOUSE/SCHOOL CHOICE: Accepting applications for fall 2019. 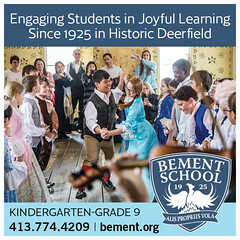 The Bement School founded in 1925 and located in Deerfield is a co-educational junior boarding and day school serving 225 students in kindergarten through grade 9. At Bement, the innovative educational approach and rigorous curriculum prepare students well for competitive secondary schools and to tackle the challenges of life. Students work hard, learn to overcome obstacles, persevere with joy and optimism, develop a strong sense of self, and find ways to help others. Children and adults at Bement work together to create a community where all members cultivate mutual respect and understanding within the school and the world. 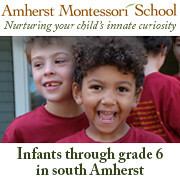 For info on how to arrange a campus visit, call 413-774-4209 or visit www.bement.org. Deerfield, MA. Thursday, April 11, 10:30am – MUSIC & MOVEMENT: Music in the Morning: live, interactive music by professional musician and educator Marcy Gregoire, accompanied by movement specialist, Hilary Lake. Puppets, costumes, musical instruments for ages 0-8. Learn a new song, make new friends! Hawks and Reed Performing Arts Center. 413-774-0150. 289 Main Street, Greenfield, MA. Thursday, April 11, 7:30pm – THEATER/SOCIAL ISSUES: Sweat. Winner of the 2017 Pulitzer Prize for Drama, Lynn Nottage’s play deftly and unflinchingly examines the complicated ways race, class, and gender intersect in a struggling factory town. Sweat features well-drawn characters that stir us to think about how we can overlook the various ways hate presents itself and how close it is to us, until we are forced to confront it. This piece engages audiences in an exploration of one of the most critical social topics of our time. Performances will be held in The Curtain Theater at th Fine Arts Center at UMass.151 Presidents Drive, Amherst, MA. Fridays, April 12,10:30-11:30am – ANIMAL STUDIES/STORY HOUR: Learn about our wildlife neighbors, frogs, who share our home in the Connecticut River Watershed. The program includes a story, interactive games, and a craft to introduce young children to wildlife along the river. Meet in the Great Hall. For ages 3-6, accompanied by an adult. Siblings and friends welcome. Great Falls Discovery Center. 413-863-3221. 2 Avenue A, Turners Falls, MA. Friday, April 12, 2:15-3:30pm – KINETICS/KITES: Let’s Go Fly a Kite. Find out about kite designs, pick one, build it and see if they fly! Open to 15 children, ages 8-12. Pre-register. Dickinson Memorial Library. 413-498-2455. 115 Main Street. Northfield, MA. Friday, April 12, 4-8pm – MUSEUM ADVENTURES: Hands-on at Smith College Museum of Art during Second Friday! Art making for all ages, inspired by works on view. In the exhibition “Plastic Entanglements,” explore how artists have woven together materials and ideas to encourage self-reflection on the looming issue of single-use plastic. Then, make your own weaving from found materials. Complimentary light refreshments. Smith College Museum of Art. 413-585-2760. 20 Elm Street at Bedford Terrace. Northampton, MA. Friday, April 12, 7:30pm – THEATER/SOCIAL ISSUES: Sweat. Winner of the 2017 Pulitzer Prize for Drama, Lynn Nottage’s play deftly and unflinchingly examines the complicated ways race, class, and gender intersect in a struggling factory town. Sweat features well-drawn characters that stir us to think about how we can overlook the various ways hate presents itself and how close it is to us, until we are forced to confront it. This piece engages audiences in an exploration of one of the most critical social topics of our time. Performances will be held in The Curtain Theater at th Fine Arts Center at UMass.151 Presidents Drive, Amherst, MA.